A Purcellville resident wants to raise money for a nonprofit organization that serves people with disabilities, and he’s ready to put in the sweat equity to do it. 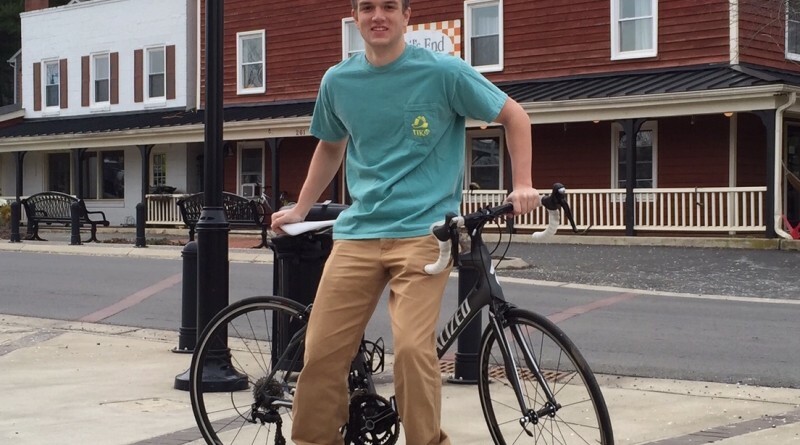 Myles Sullivan will spend his summer on a bike, riding from Seattle to Washington, DC, to raise money for The Ability Experience, the philanthropic arm of Pi Kappa Phi Fraternity. Its focus is to instill lifelong service in its members and enhance the quality of life for people with disabilities. Sullivan, a 2014 Loudoun Valley High School graduate, is studying Biological Systems Engineering at Virginia Tech. He will begin his ride June 8 in Seattle and arrive in Washington, DC, about Aug. 8. So far, the 20-year-old has raised $5,500. His goal is to bring in $6,500 by April 1. He will be riding alongside other members of the Pi Kappa Phi Fraternity. “We’ll be striving to spread our message of acceptance and understanding to more than 40 million people and have the opportunity to reach out to thousands of people with disabilities on our journey,” he said.